Entering a Clodagh designed space is an experience of both serenity and indulgence. Clodagh believes that clutter undermines serenity but minimalism should not be self-denying, and she balances these principles with her signature style, described as "life-enhancing minimalism." A believer in the tenets of integrative medicine, Clodagh embraces both ancient and cutting edge methods in an effort to comfort not only the body but also the soul. Among the earliest adopters of Feng Shui in her design practice, Clodagh is once again ahead of the curve by incorporating such modalities as chromatherapy and biophilia into her distinctive projects. She passionately believes that good design supports well-being and transforms people's lives. Clodagh Design projects and products have been recognized with international accolades and awards, catapulting her to the top of the industry. Step inside her world with Clodagh, an intimate invitation to the projects, moments, and ideals that have shaped her life and inspirational career. 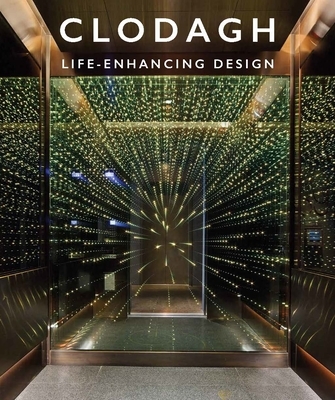 Known for her timeless and responsible design, Clodagh has undertaken many award-winning commercial and residential projects, including Miraval Resort and Spas, W Hotels, and Equinox Fitness Clubs. Clodagh lives in New York, New York.